A new version of Pragmatic Organisation Dynamic Display (PODD) offering an alternative method of access. 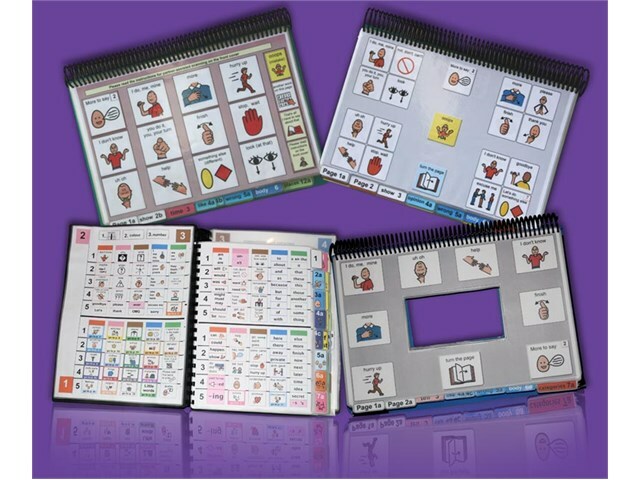 This software helps create a wide range of communication books to suit varying communication, language and sensory requirements. Requires Boardmaker Plus! and is available to buy as bundle for your convenience. can see the picture symbols and manage the visual complexity of a whole page to locate the symbol they require. A detailed Information file describing the target population, access options, language, page layout, navigation, optional pages and page bypage customisation for that PODD communication book. Detailed Construction files providing step-by-step instructions to select materials, print and construct that PODD communication book. 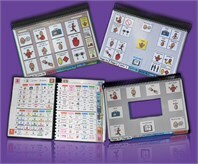 A folder including Boardmaker® templates for all the pages and page options to make that PODD communication book. These generic templates are opened, customised and printed using Boardmaker® version 5 or later(not included). Videos to demonstrate the operational procedures for using each access method. Video examples of direct and full models using a range of alternative methods are also included. 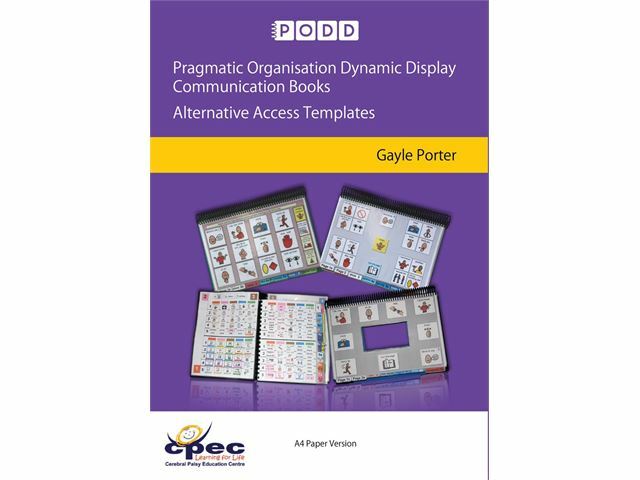 The book, Pragmatic Organisation Dynamic Display (PODD) communication books by Gayle Porter (2017), in pdf file format. Boardmaker Plus! - for printing and customising the templates. Requires Boardmaker v5 or v6. How to use PODD templates with Boardmaker Studio. For Boardmaker Studio, there is an option Project from Boardmaker Import that will automatically extract the boards files you have downloaded from the PODD CDs so they become part of the Studio program. Note: If you have another Boardmaker program, the steps will be different. - Open Studio on your computer. - Open a new or existing project. - From the Studio File menu, select New. - Select the Studio File menu again and select Project from Boardmaker Import. - Browse on your computer to the location the boards were downloaded and select the boards you want to import. - Select the Open button. The Browse Import Setup dialog will open. - Select Import. You may get some warnings if the board(s) require any conversion to be used with Studio.